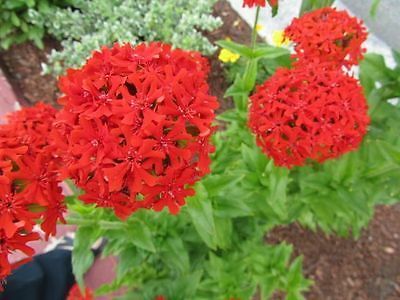 Lychnis Chalcedonica Seeds ★ Burning Love These rugged, easy to grow 2-3 foot perennials produce brilliant scarlet flowers in dense clusters of 20-50 in June and July. They are stunning when used alongside plants with gray foliage or white flowers. Likes regular water and will even thrive in boggy conditions.